Water conservation is a key link between balancing current and future water needs. There are a number of simple ways that you can help. The Water Conservation Tips below provide good ideas for the entire family! Use a water bucket and hose shutoff when washing your vehicle. Use a blower or broom to clear debris from your driveway and sidewalk. Repair or redirect sprinkler heads to avoid watering sidewalks and streets. Only run your dishwasher with a full load of dishes. Water your lawn in the morning or late evening when there is less evaporation. Wash full loads of clothes only. This will help save gallons of water per wash. If you clothes are not heavily soiled, use the short wash cycle on your washer. By turning the water off while brushing your teeth, you can save 4 gallons of water. Take shorter showers and only use as much water as you really need. Replace your showerhead with a more water efficient model. 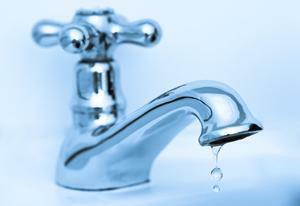 Fix leaky toilets, drippy faucets and other water wasters. Do not leave the water running when you are not using it. When planting, choose native grasses and plants that require less water.